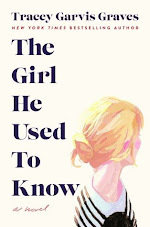 Goodreads says, "Experience the sultry Southern atmosphere of Atlanta and the magic of the Carolina Lowcountry in this funny and poignant tale of one audacious woman's quest to find the love she deserves Leslie Anne Greene Carter is The Last Original Wife among her husband Wesley's wildly successful Atlanta social set. But if losing her friends to tanned and toned young Barbie brides isn't painful enough, a series of setbacks shake Les's world and push her to the edge. She's had enough of playing the good wife to a husband who thinks he's doing her a favor by keeping her around. She's going to take some time for herself—in the familiar comforts and stunning beauty of Charleston, her beloved hometown. And she's going to reclaim the carefree girl who spent lazy summers with her first love on Sullivans Island. Daring to listen to her inner voice, she will realize what she wants . . . and find the life of which she's always dreamed. The Last Original Wife is an intoxicating tale of family, friendship, self-discovery, and love that is as salty as a Lowcountry breeze and as invigorating as a dip in Carolina waters on a sizzling summer day." Leslie "Les" Carter is one of the last "original wives" amongst her group of friends. Her husband's friends have all "traded up" for a younger wives whom she fondly refers to as Barbies. The problem with this is the fact that Les is good friends with the original wives whom were replaced. This is a tough pill to swallow and now she is forced to spend a lot of time with her husband and his friends (including the Barbies) at various events, including vacations. After a disastrous vacation to Scotland and a few other series of unfortunate events involving the Barbies, Les decides that's it. She is done. She is going to move back to Charleston, where she grew up, and watch her brother's dog and historic house while he is away in Italy. It should be a relaxing summer; one where she won't be a "servant" for her husband catering to his every whim or her two extremely dependent (adult!) children. While in Charleston, she runs into her ex-boyfriend and after spending more time with him, she finds out what she finally wants out of her life. 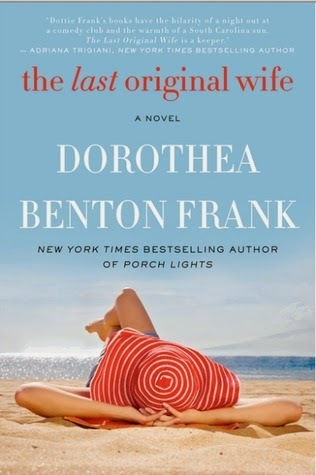 It truly is a summer of self-discovery for Les in Dorothea Benton Frank's The Last Original Wife and there's no better place to do that than in the beautiful city of Charleston. Les was immediately a character I felt badly for and I really wanted her to grow a pair. The first portion of The Last Original Wife, Les is really trying to gain the courage to do what it is she knows she has to and that is leave her husband. And by leave I don't necessarily mean divorce, but she needs to escape to Charleston where she can finally breathe and not be under his tight grasp. The more and more time she is away from Wes, her godforsaken husband, she becomes a more confidant woman and I was cheering her on from the get go. Which leads me to Wes. Ugh. He is one horrible dude. Seriously. I couldn't stand him in The Last Original Wife. He manipulated Les and used her. He straight up took advantage of her. He assumed she would always be there and he got too comfortable in their relationship. I was chomping at the bit to see Les finally stand up to him as he really deserves to be put in his place. The setting of Charleson was magical in The Last Original Wife. The afternoon wine sessions, the beautiful city, the gorgeous weather, the fancy restaurants, and the cocktail parties were fantastically done by Frank. It made me want to take a road trip to Charleston immediately. Essentially, The Last Original Wife isn't a book about revenge or escaping a bad marriage. Yes, there are some moments where those two factors come into play, but this book is more about finding out what a person wants from her life and realizing that it is never too late to follow your dreams. Les finally took a stand, did what she wanted for the first time in many years, and ultimately, took a leap of faith. Whether or not she stays with her husband is something I'm not going to spoil, but I liked Les' journey and her summer of self-discovery. After many years of taking care of everyone else, sometimes you have to do what makes YOU happy and that's what this book is all about, which makes it the perfect summertime indulgence. Yes! I have never been to Charleston and this made my want to visit stat. I think you would like this book, Christina. It's a fun beach read! Thanks for visiting! I know! I was a bit worried about that story line, but her husband is such a moron, that I was gladly happy to see their marriage slowly dissolving. It was a fun beach read though! 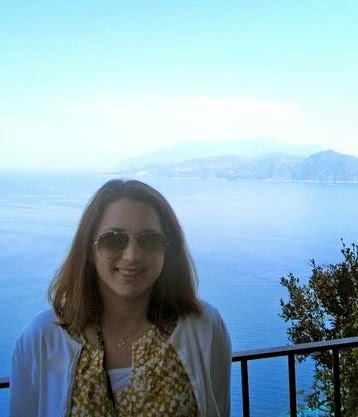 Thanks for visiting, Melissa!